ME/CFS will be spoken about in the SA Parliament this week. 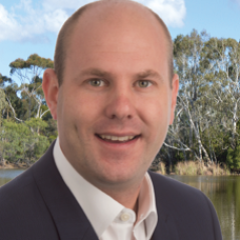 Sam Duluk, MP for Waite, will be talking on ME/CFS during what is called a Private Member's Grievance session, 3:15 – 4pm. It would be lovely to see as many people as possible in Parliament House this Wed, 20th June, to show our support from the public gallery. (Details below). Sam supported our recent badge day and became more aware of the plight of pwME, leading him to offer to raise our issues in parliament. Meet in the Parliament House foyer at 2:45pm, ready to be in the Chamber by 3pm. Wear your #MillionsMissing T-shirt or something red so we stand out in the gallery. If you don't have red then our traditional colour blue. But come, whatever colour you wear! If you are unable to join us you could send a delegate - family and friends welcome!